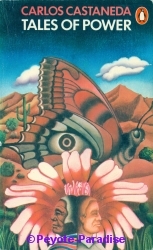 Castaneda, C.- Tales of Power (1974, Penguin) - Mescaline Cactus Specialist - Peyote Cactus, San Pedro Cactus, Peruvian Torch Cactus, Achuma Cactus, Kale San Pedro Cactus ! 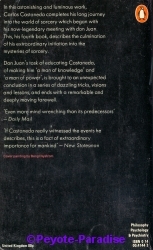 Carlos Castaneda : Tales of Power (1975) - (voorkant). Carlos Castaneda : Tales of Power (1975) - (achterkant).